The rise of cats as appealing domestic rivals to women in men’s lives is worth noting. 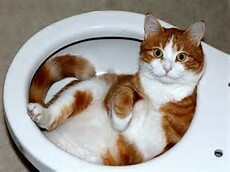 It is the only other creature to demand a clean toilet. Dogs and men are not affected by a filthy lavatory in any discernable way. Women, to the cat’s favor, additionally require the seat to be either put up or annoyingly closed entirely. So here there appears to be a net loss with the choice of a human female.